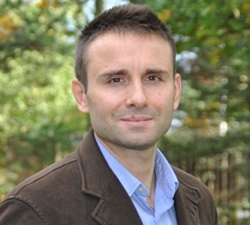 Amar Causevic joined the Global Economic Dynamics and the Biosphere (GEDB) Programme in October 2017. His research at the GEDB focuses on examining interactions between financial markets and the biosphere. Prior to his current position, he worked on finance, energy and climate change-related issues at the World Bank, Carbon War Room, and the United States Agency for International Development (USAID). In addition, he has research experience in the field of climate security. Amar holds a Masters of Arts in International Economics and Energy, Resources & Environment from the Paul H. Nitze School of Advanced International Studies (SAIS) at the Johns Hopkins University. Also, he holds a Masters of Arts in International Relations as well as a Graduate Certificate in Project Management, both from Boston University. He completed his undergraduate education at Webster University obtaining a Bachelor of Arts in Management.